Wärtsilä’s order intake for the second quarter decreased by 11% to EUR 1,071 million (1,198). In relation to the previous quarter, Wärtsilä’s order intake decreased by 21% (EUR 1,352 million in the first quarter of 2013). The book-to-bill ratio for the second quarter was 0.93 (1.09). The order intake for Power Plants in the second quarter totalled EUR 217 million (283), which was 23% less than during the corresponding period last year. The decrease compared to the previous quarter was 46% (EUR 406 million in the first quarter of 2013). During the second quarter, Wärtsilä received a 110 MW order from Russia and an order for nuclear emergency diesel generators from Finland. The ability to deliver power plants in a wide range of plant sizes for many types of applications demonstrates the strengths of Wärtsilä Smart Power Generation concept. The second quarter order intake for Ship Power totalled EUR 380 million (447), a decrease of 15% compared to the corresponding period last year. Compared to the previous quarter, order intake decreased by 14% (EUR 443 million in the first quarter of 2013). Activity continued to be highest in the offshore and specialised tonnage segments. 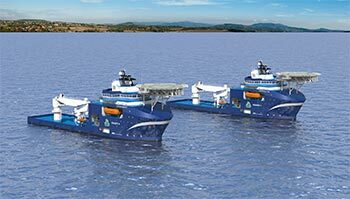 Ship Power’s offshore related orders included supplying an integrated solution, comprising engines, the Wärtsilä Control & Communication Centre (3C), and the electrical and automation system, for Harvey Gulf International Maritime’s new multi-purpose support vessel. In the merchant segment, Wärtsilä received an order to supply propulsion packages for 24 new multi-purpose vessels being built for the Singapore based China Navigation Co. Pte. Ltd. The contracts were signed in 2012 and during the first half of 2013 with Wärtsilä licensee Hudong Heavy Machinery. There was also good ordering activity in environmental and flow & gas solutions. Ship Power received orders for four Wärtsilä open loop exhaust gas cleaning systems, with options for an additional three vessels, and a Wärtsilä AQUARIUS®UV ballast water management system retrofit, as well as orders for a direct electrical heating system and inert gas systems. The merchant segment represented 44% of the second quarter order intake, the offshore segment’s share was 37% and special vessels accounted for 7%. The cruise & ferry segment’s share of the order intake was 3% and the navy segment’s 1%. Other orders accounted for 8%. Order intake for the Services business totalled EUR 469 million (466) in the second quarter of 2013, an increase of 1% compared to the corresponding period last year. Compared to the previous quarter, order intake decreased by 7% (EUR 504 million in the first quarter of 2013). During the second quarter, Wärtsilä signed operations and maintenance agreements with power plant customers in Zambia and Mozambique. The total order intake for the review period January-June 2013 was EUR 2,424 million (2,308), which represents an increase of 5% compared to the corresponding period in 2012. The book-to-bill ratio for the review period was 1.19 (1.10). Power Plants’ order intake was EUR 623 million (591), which is 5% higher than in 2012. Ship Power’s order intake was EUR 822 million (723), an increase of 14% from the corresponding period last year. Services’ order intake for the review period totalled EUR 974 million (989), a decrease of 2% over the corresponding period in 2012. Order intake in the Wärtsilä Hyundai Engine Company Ltd joint venture company in South Korea, and the Wärtsilä Qiyao Diesel Company Ltd joint venture company in China, producing auxiliary engines, totalled EUR 113 million (148) during the review period January-June 2013. Wärtsilä’s share of ownership in these companies is 50%, and the results are reported as a share of result of associates and joint ventures.